If you’ve been into the Brewhouse, you’ll know we don’t do things by halves down there. The burgers are big and juicy, the fries are epic and the craft beer is spectacular! 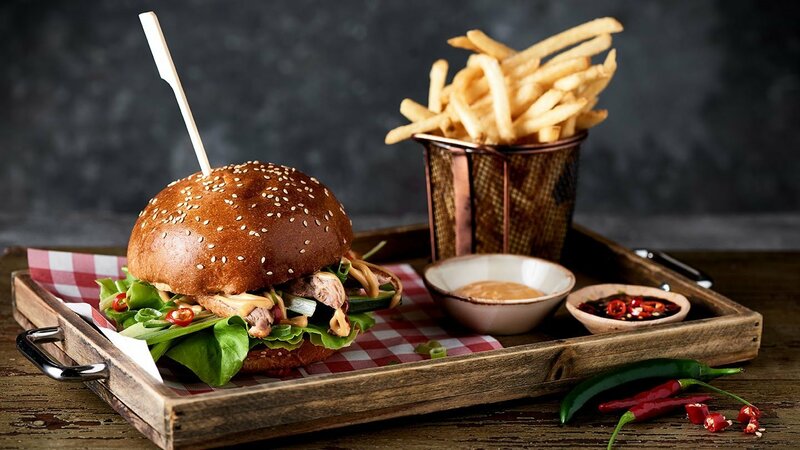 This month, we want you to dive into a delicious Peking Duck burger with butter lettuce, shallots, cucumber and hoisin mayonnaise on a milk bun. It comes with shoestring fries, a Brooklyn pickle and a pint of one of our Brewhouse beers, all for just $25! Our craft beer gurus recommend the Basement Brewhouse Kolsch to accompany your meal.